It is safe to say that Kruja is Albania’s most sacred town as it has played the most important role in Albania’s long struggle for independence. 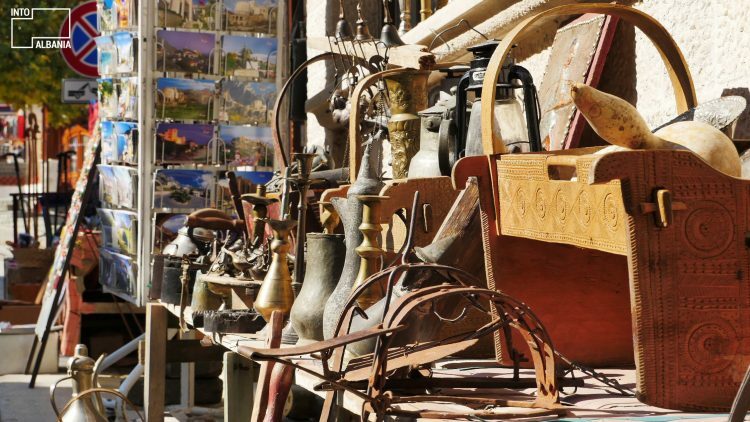 As it befits Albania’s patriotic haven, Kruja has also been the commerce center of various craftworks for centuries. Here, trading flourished around the 19th-20th century, at which point the famous Old Bazaar of Kruja included more than 130 stores. The various works from handlooms, copper, wool, silver, leather and many other materials gave Kruja’s products nation-wide fame, a fame that continues to this very day. 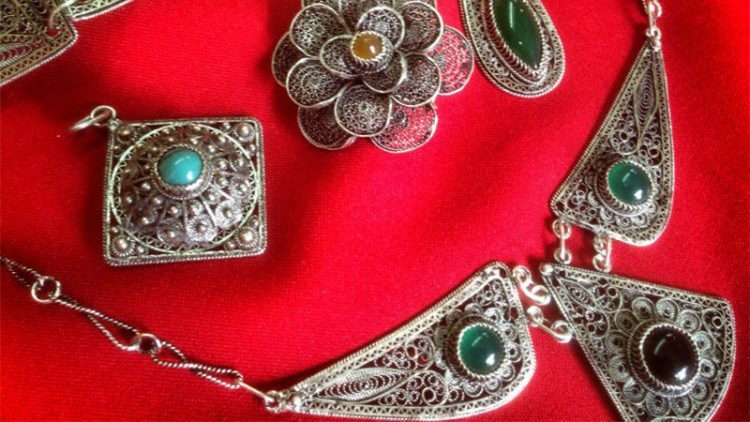 The Bazaar of Kruja continues to attract tourists to its remaining 70 boutiques where they get to witness each local master practice his or her craftsmanship. 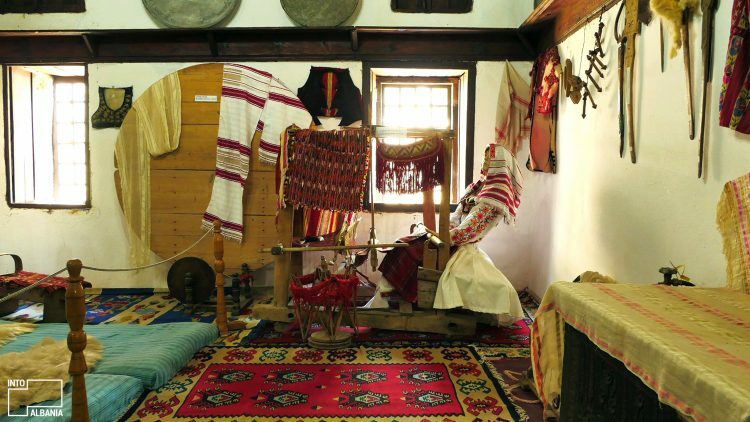 As these masters work, they happily explain the intricate processes of their specific crafts to the visitors and, with each story, they reveal a great part of Albania’s social and cultural history. 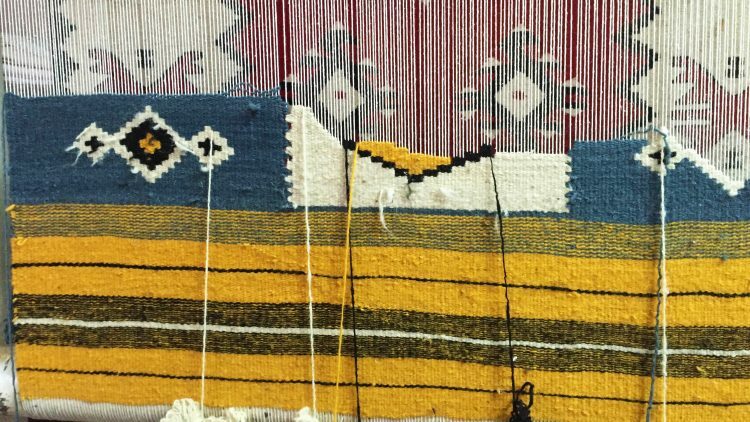 Kruja is renowned for having some of the best weavers in Albania. These fabric magicians weave cloth, drapery, and carpets with the greatest mastery, using stunning color combinations, especially the red and black of the national flag. The bazaar showcases some of their best works and you will also get a chance to directly speak to the artisans about their suggestions and your own preferences. National costumes are some of the most requested items of Kruja’s Bazaar which explains the rich variety available there. The elaborate costumes come from every region of the country and, thus, you will see fustanellë (kilt), xhubletë (a bell-shaped skirt), traditional shoes embellished with tassels, costumes with tirq (traditional tight-legged trousers for males) or çitjane (traditional wide trousers for females, harem pants). The traditional costumes from different regions of Albania will make this shopping experience a beautiful journey into the country’s traditions and past. Beautiful objects made of copper are among the most favored souvenirs among those who want to possess something traditionally Albanian. These objects reflect different time periods and ways of life, as the bazaar offers domestic and war objects, as well as ones used for gardening and travel, among others. 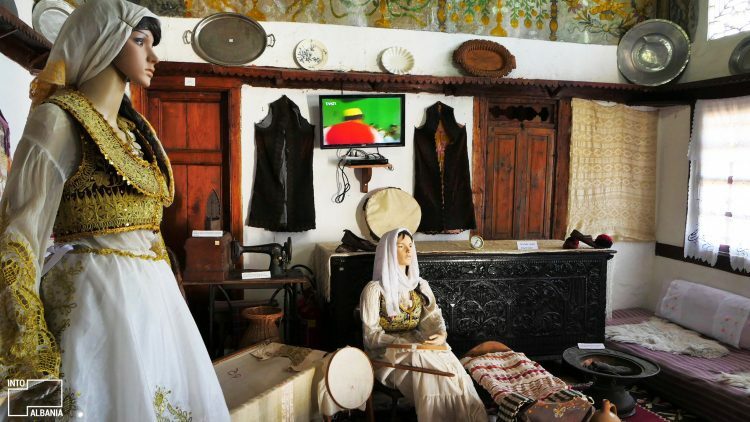 As such, a visit at bazaar reflects an intimate experience where objects reveal the real history of life in Albania. Many are the artisan workers which masterfully weave silver, gold or copper threads in the national costumes, sword or knife sheaths, jewelry and many other objects offered at the bazaar. The elegance of the filigree makes these objects some of the most stunning and preferred choices for gifts and home decorations. 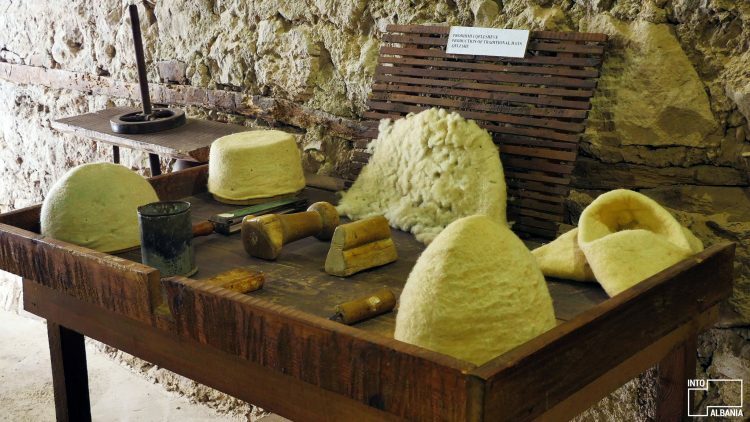 No Albanian arts-and-crafts tour would be complete without the inclusion of the most recognizable Albanian object: the qeleshe, a traditional white woolen hat. This simultaneously functional and decorative hat enhanced every traditional male costume and is, perhaps, the main symbol of Albanian tradition. Recent years have seen a revival of the qeleshe during Independence Day celebrations in Albania and Kosovo, soccer championship matches, and other similar events. The artisans in Kruja continue crafting the qeleshe exactly as it has been done for centuries. As you stroll through the bazaar, you will find it difficult not to immediately put one on and take a selfie!